Johnny English is back, and we have the teaser to prove it. Rowan Atkinson has been spoofing the James Bond franchise since 2003 and, though this particular franchise may not be as beloved as something like Austin Powers, it has managed to do well enough with the masses to get this far. 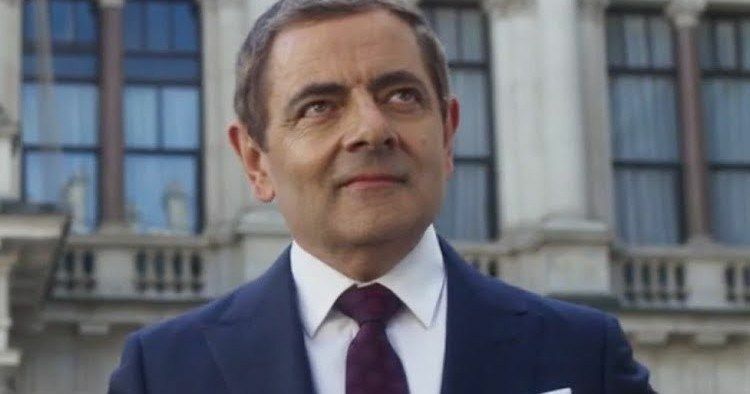 Now, Johnny English Strikes Back is upon us, and this teaser provides us a first look before the full trailer arrives online tomorrow. The movie, officially titled Johnny English Strikes Again, is set to arrive in theaters this year, but the studio hasn't set an exact release date yet. This teaser mostly serves as a recap of the previous two installments of the franchise, going over some of the gags and set pieces from Rowan Atkinson's past turns as the bumbling spy. There are choice bits of footage from the new movie thrown in here at the end as well, mostly centered on a single gag that is very indicative of the Johnny English movies. If that's your sort of thing, it looks like Johnny English 3 may be what you've been waiting for. Interestingly, the plot of this movie does sound very similar to Skyfall, in that they both involve undercover agents becoming exposed. What's more interesting is that both movies were written by Neal Purvis and Robert Wade. Purvis and Wade have worked on the last six Bond movies and have also been involved in the Johnny English franchise. So, if there are any direct similarities, we may know who to blame. David Kerr makes his feature directorial debut with Johnny English 3. Peter Howitt directed the first movie, with Oliver Parker helming the 2011 sequel, Johnny English Reborn. Neither of the previous movies were particularly well-received by critics, but they made enough money to keep the franchise going. Both movies were almost dead-even at the box office, earning $160 million worldwide. At the present time, we're waiting for Daniel Craig to suit up for James Bond 25 and, on the flipside, Mike Myers doesn't seem in any way close to making Austin Powers 4. So, if you're in need of a spy movie, you may have to be comfortable settling for watching Mr. Bean do his best send-up of 007. Be sure to check out the teaser for Johnny English Strikes Again, courtesy of the Universal Pictures YouTube channel, for yourself below. Be sure to check back tomorrow for the full trailer, which will bring to you as soon as it's made available.